I was asked what my target audience is? The answer is I don't have one as such. I would like this column to appeal to all ages, young and old and of both sexes, who would like to hear a little bit more about what's happening in Britain today. 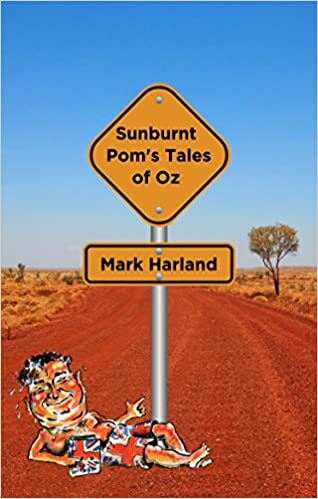 You might be a newly arrived Pom, a Pom on holiday Down Under or even a second or third generation Australian with blood links to the Old Country. I hope there is something for everyone every week. In any event tell me what you would like to hear about and I will do my best to oblige. Robo-Trousers that help infirm people stand up and walk about are being developed by the University of Bristol. A 'great leap forward' (my words) for the disabled you might think. If this enables a person to get up from a chair to go and make a cuppa that is wonderful. Wickedly, I could also imagine them being sold down at the Dog & Duck just before closing time on a Saturday night. It could be the biggest market of them all! And speaking of pubs I am blessed that there are no less than three of them in my Yorkshire village, including the oldest one in the county, the Londesborough Arms, first built in 1086. Can you believe that – just twenty years after the Battle of Hastings? In England we take history for granted – to our shame. In 'new' countries like Australia and the USA much greater care is taken of buildings to preserve them for future generations. Rumour has it that the site of the Battle of Bosworth Field, where was slain King Richard III in 1485, is about to be turned into a race-track for testing new cars. Can you believe it? I just don't think that would happen Down Under. What would Richard the Turd himself have made of that? We did, after all, give him a state funeral after his body had been discovered under a council car park in Leicester. I am beginning to wonder if 'sports news' has overtaken all other news here in Britain. The Brexit negotiations are a mess and the nation is currently direction-less. No wonder ordinary folk turn to football and cycling news, perhaps as a diversion from the real world. Success in cycling is a fairly recent phenomenon here in the UK with Brits taking the three major titles in Spain, Italy and France in the same year. The sport has come from nowhere twenty years ago yet today the names of Geraint Thomas, Chris Froome, Bradley Wiggins and Victoria Pendleton roll off the tongue as easily as Harry Kane and Wayne Rooney. Let's hope it does something for the UK bicycle industry too. I know Katie Melua reminded us that there are 'nine million bicycles in Beijing' but do we really have to import most of them over here? There are reports of new forthcoming laws obliging cafe and restaurant owners to indicate the number of calories in a meal that a customer purchases. Have you ever heard anything so daft? The State Health Police, along with the PC Brigade, have been allowed to dictate the agenda for far too long here. If it's not stopped in its tracks before long there'll be a state-funded dietician in every restaurant doing a calorie count at every table. There will be 'calorie books' with photo ID issued to all citizens with hefty 'on the spot' fines for breaching weekly limits. The fines will no doubt go to pay the salaries of the jobs-worths that dreamt up the whole thing. There will be a black market for fake 'calorie books' just like fake passports. Don't laugh. In PC riddled Britain it could happen. Anyway, I'm off for a curry at my favourite Asian restaurant – the 'Cinnamon' – tonight before these new Rules come in. As a pal of mine once said ' One of the very few advantages of having conquered half the globe is the sheer diversity of ethnic restaurants in one's High Street. How right he was. He now lives on the Gold Coast where Asian restaurants outnumber Aussie steak joints by a margin of umpteen to one.